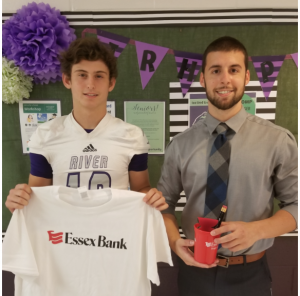 Conner Dusenbury, a senior WR on the football team, has been named the JRHS Essex Bank Player of the Week. Conner had 6 catches for 175 yards last week against Clover Hill. He is leading the region in reception yards. Congratulations, Conner! !